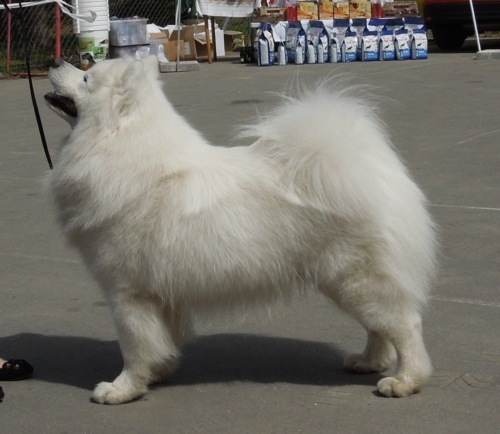 Aslak is a very handsome male bred by us. He is an active and curious dog. We have got good show results with him. 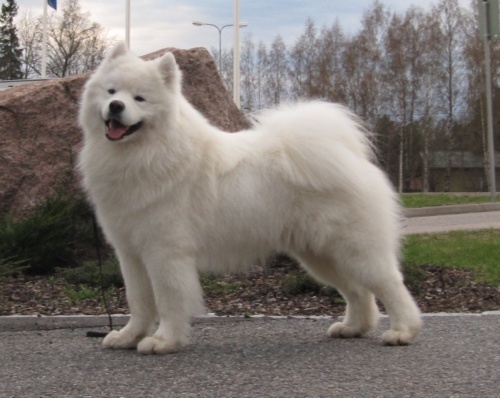 He is now an international champion and has been Best of Breed in a show ring four times (Szombathely, Hungary, Mänttä-Vilppula, Finland, twice in Zadar, Croatia). 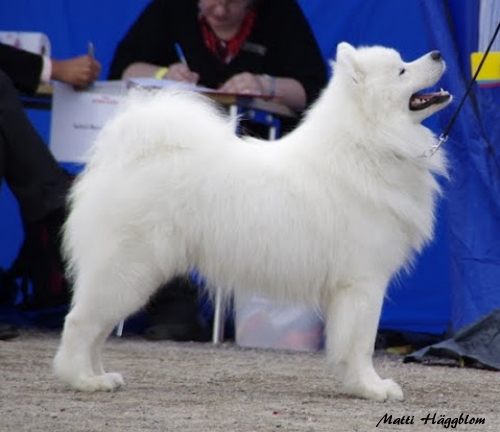 He has also participated in sledge competitions and became working champion from leaders class. 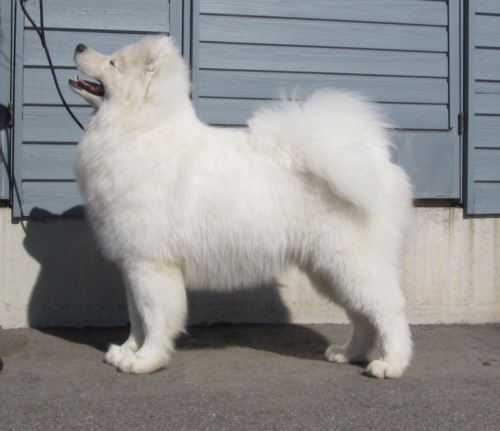 The best thing of the results is that he has been trained totally by ourselves! 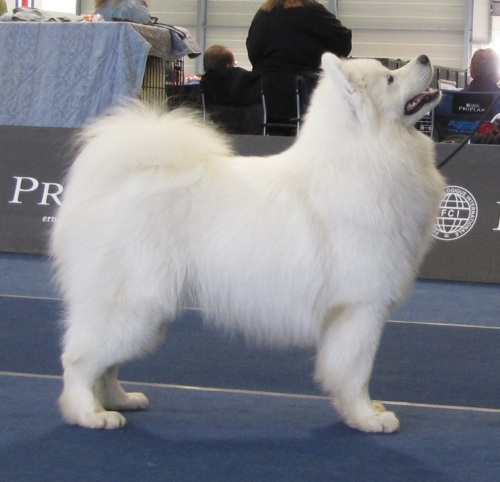 As a breeder and an owner I can be really proud of him! 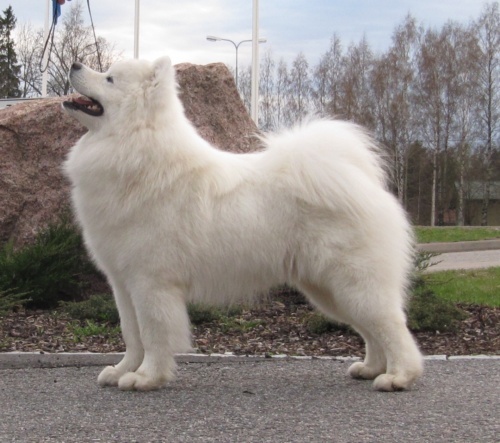 Aslak has his first litter with Tähekiir White Jayce Of D-Taro.